If you’re looking for stories with a little magic, a lot of heat, and a happily ever after, you’ve come to the right place. The last of their kind, each born with a unique set of gifts, the Taken are a dying people. They were whisked away to Earth as children, hidden for their own protection and raised as humans. Lust, desire and honor combine to save two worlds in this paranormal romance series. 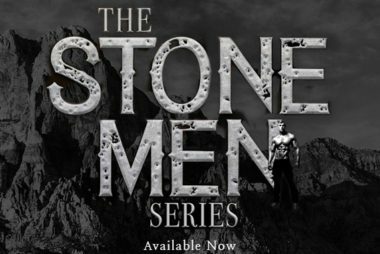 Meet the Stone Men—Kane Addison and Dolton Thatcher—slaves of the hedonistic goddess Pyrenia, their bodies and consciousness imprisoned in stone until needed. In this fantasy romance series, true love breaks the curse, but what modern woman believes in real magic? Whisper Lake is a small, quiet lake town where tragedy, longing and pasts laden with bad choices simmer just below the surface, threatening a future of true love and happiness. Devotion, grief and reunion conquer doubts in this steamy contemporary romance series. What if no one was what they seemed? What if you couldn’t trust that the person you’ve known all your life is still who you think they are? In the world of the Lost Shards, slivers of ancient, powerful souls inhabit humans, altering them in ways no one can predict, gifting some with amazing abilities and others with a thirst for violence.